The year 1974 was the year the puzzle sensation Rubik’s Cube was introduced. The puzzle itself is an entire square made up of switchable and twistable smaller squares that can only be moved via a certain angle. Each side of the big square is colored uniquely, so when the cube is manipulated the colors will obviously get jumbled up. The whole point of the Cube is to find a way to bring back the colored sides to their original positions. It’s a very popular puzzle that has graced social media and events worldwide. People have shown off their skills with the Rubik’s Cube through video coverage or through record-breaking contests of speed and flair. While all that showcase of talent is amazing, the Cube has its own center of attention. There are 3D designers who have thought about creating large Rubik’s Cubes from 3D printing technology. The cubes aren’t only going to impress in size, but also in the fact that they function as well as any regular Rubik’s Cube. 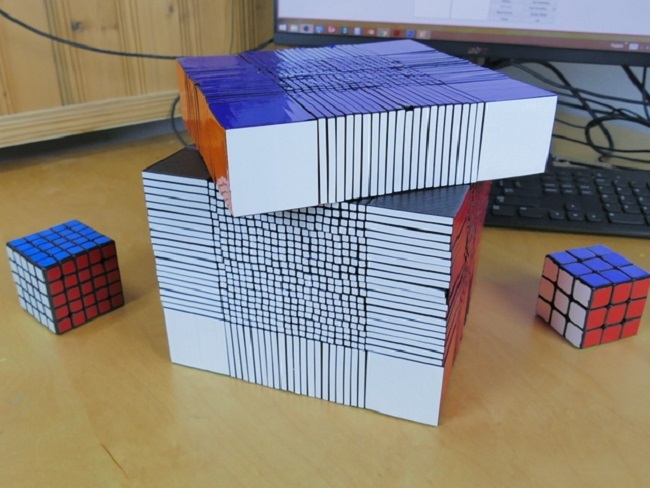 “Corenpuzzle” has designed and printed a Rubik’s Cube with dimensions of 22 x 22. This size and scale broke the record of the previous person to create a large version of the Cube, Oskar van Deventer and his “Over the Top Cube”, measuring 17 x 17. Oskar’s version of the Cube was a Guinness World Record holder upon its completion in 2011. It was overtaken by corenpuzzle’s Cube. The new record holder was printed using a Prusa i3 3D printer, a relatively consumer-friendly printer. It was actually made to find out how effective consumer 3D printers are a few years after their inception. Corenpuzzle took eight months to finish the puzzle. The final product has a length of 200mm and 2, 691 parts that individually function. These parts would allow anyone to position or shape the Cube anyway they want. After such a harrowing process of printing the parts and assembling them to make the whole finished product, corenpuzzle initially had problems when it comes to its functionality. The huge nature of the Cube had limitations and imbalance to its twisting capability. 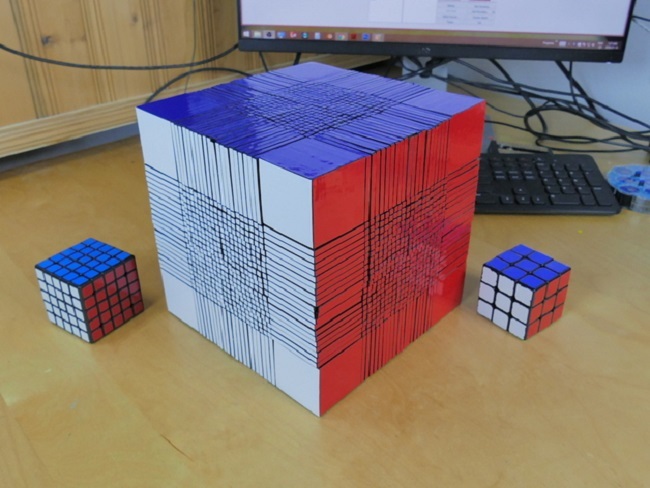 He recorded his own attempts at twisting the Cube in order to really capture its purpose and design, and you can really see that he was struggling with it. 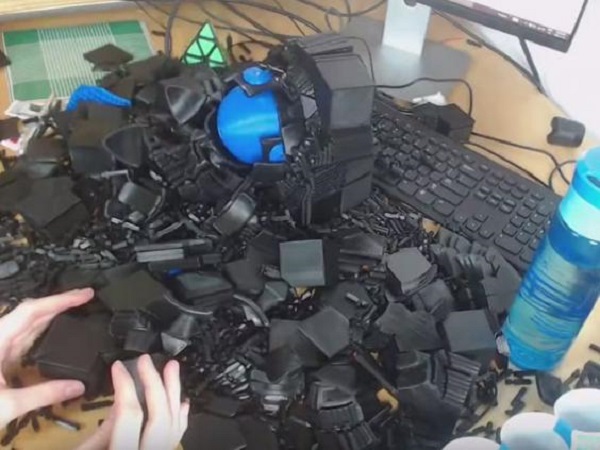 After some trial and error, and a bit of patience, he was able to post videos that actually showcase the full capability of his home-made Rubik’s Cube. Cozenpuzzle actually felt that the lack of a strong core contributed to the twisting problems of his masterpiece. Realizing that, he went on to create a core unit that would serve as the foundation for all the moving parts of the Cube, making the entire thing wieldier and accessible. Now, it’s stronger and very capable of any twisting motion. His efforts have garnered a following of enthusiastic people who were immediately taken by his dedication and perseverance in doing his craft. 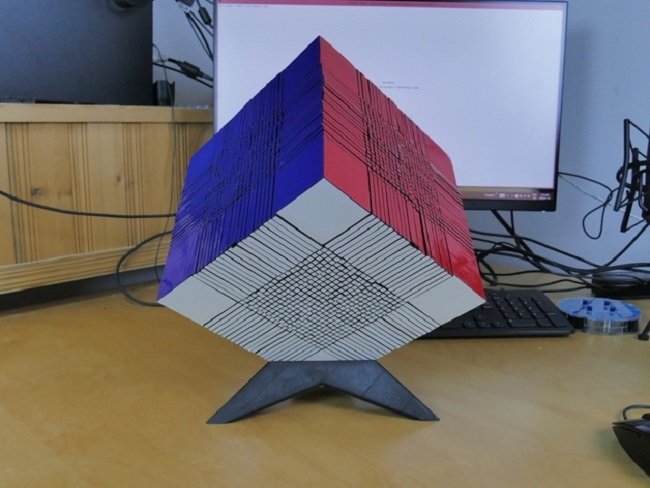 And though his Rubik’s Cube design is unorthodox, it’s made its mark as the largest 3D printed Cube puzzle in the world.